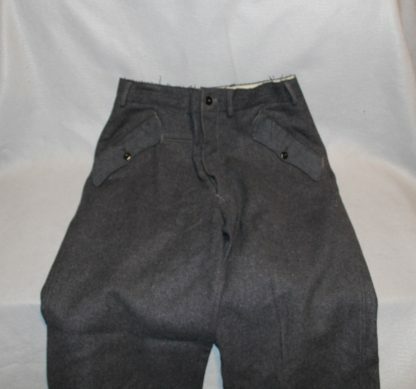 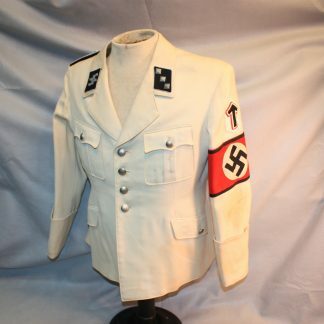 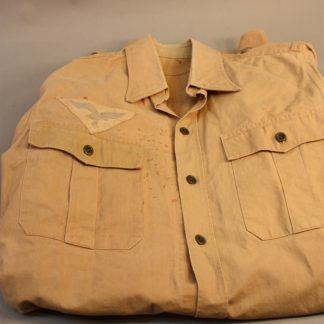 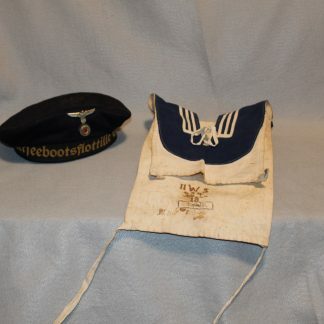 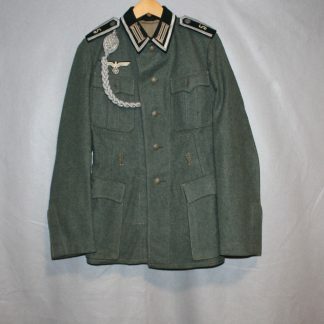 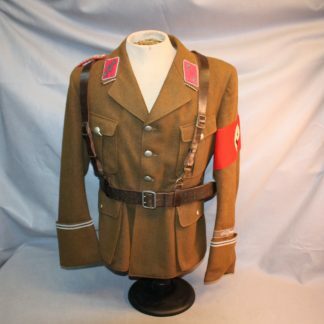 Luftwaffe Trousers – Military Collectibles, Inc.
Blue gray wool trousers that do not appear to be damaged and have a one rear slit pocket, two flapped side pockets and a watch pocket. Trousers retain all five buttons and three pocket buttons. 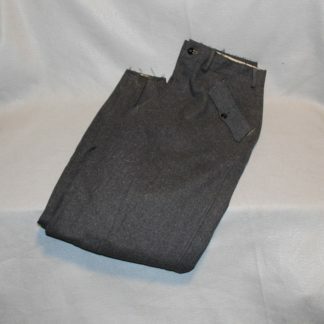 Inside lining is made from an off-white cotton and the trousers are 41” long with a waist of 32”. 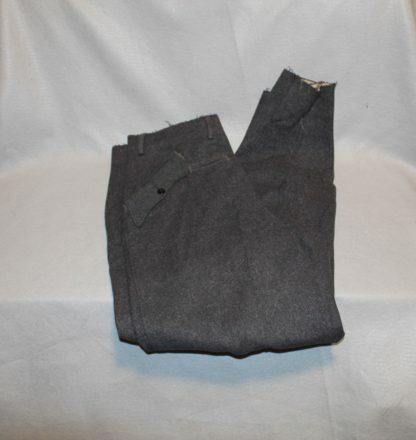 The leg ends are tapered to fit into the boots.